I have decided to deviate from CPA marketing for a bit to try something different. I was kind of tired of "black hat" niches so I decided to provide something of value. 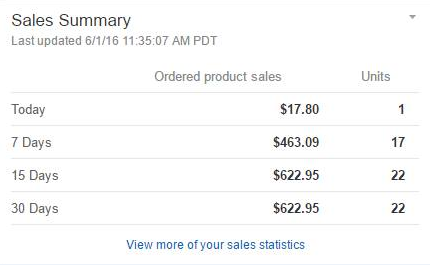 I am now an Amazon FBA Seller and I am making decent profit. I originally started last summer but ran into some limitations. 3 things that limited me were time, money, and research. Researching for the right products took way too long. By long I mean days or even weeks to find something good. Once you find something good you need a decent amount of money to start off. 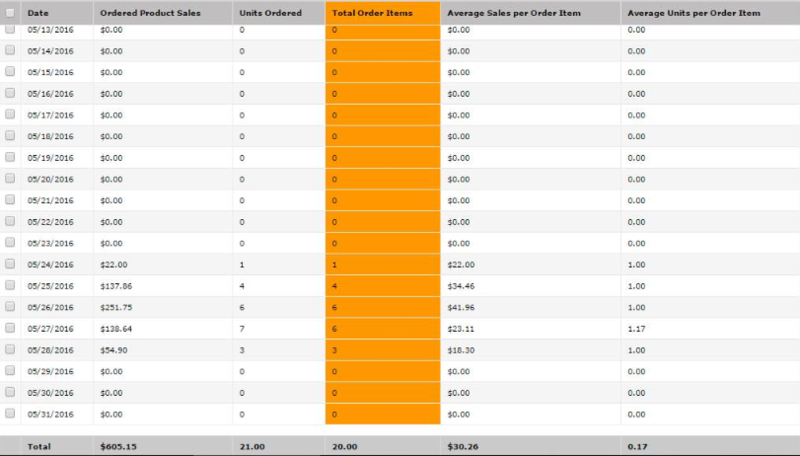 I originally started last summer with $400 and turned it into about $800. But school got in the way of researching and I had to take a break. But in the meantime I worked with a few Amazon sellers to develop a tool for researching and I am now testing out the method. So far the products are doing well as expected. This is my result from last week. Notes: I'm kind of at a loss because I ran out of inventory so quickly which means I could have made more sales. As soon as the items were listed on Amazon they sold out faster than it took me to write this post. Loving this business model and its a great way for me to raise funds quickly since I was struggling with CPA for sometime now. I will update this thread with more images and results as my journey continues. After looking at the screenshot I was like ohh it looks like a new update but Its FBA panel. Nice Saw a thread different from CPA thing. I have also started a amazon affiliate site which is currently making me like 10$-60$ per month with any seo just content. Will be focusing on SEO part after my exams. Thanks. I needed to do something different I've been doing CPA since I was a kid actually. I'll write a story about that experience. But yeah Amazon is becoming a gold mine especially with Amazon Prime. Amazon Prime keeps impressing me every day. Good luck on exams! Sky do you use Parasite SEO ? (2016-06-08, 04:45 AM)★WiM★ Wrote: Sky do you use Parasite SEO ? I have used parasite SEO for a short time. I actually used it with Amazon product pages before and blasted with GSA. But this was almost 2 years ago. At the moment I am trying to get this Amazon Business going.